Published on 24. April 2014. 4 Comments Tags: apache, debian, mysql. Redmine is a web-based project management tool which could be used with the Backlog plugin for software development with Scrum. 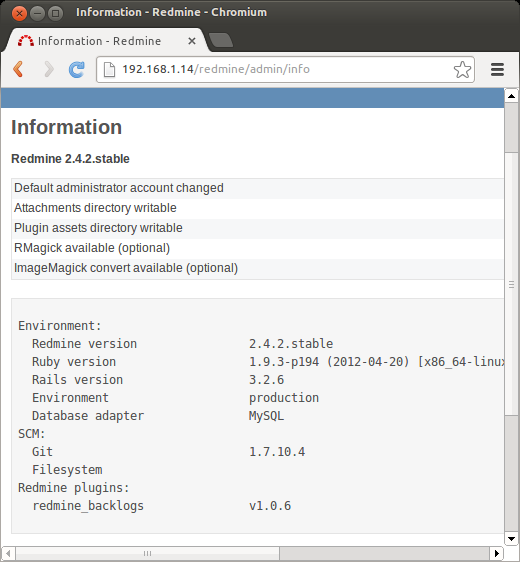 On a Debian 7.0 system (currently at the date of this blog entry) Redmine version 1.4.4 is ready for install, while it is available in version 2.5.1 and 2.4.5 for download. Because of its less up-to-date packages, one can argue that Debian is very stable but outdated. Many years ago some manual apt-pinning or mixing with dotdeb packages had helped to get a more recent version. But since 2010 Debian has so called Backports, which brings newer versions! Next install Ruby development package, git, g++ and the xslt-parser. After a restart of Apache, the Redmine Backlogs plugin is activated. Hello World! I am Andreas Peichert and develop and program software since 2000. Currently I work as an Software Engineer. Excelent guide! 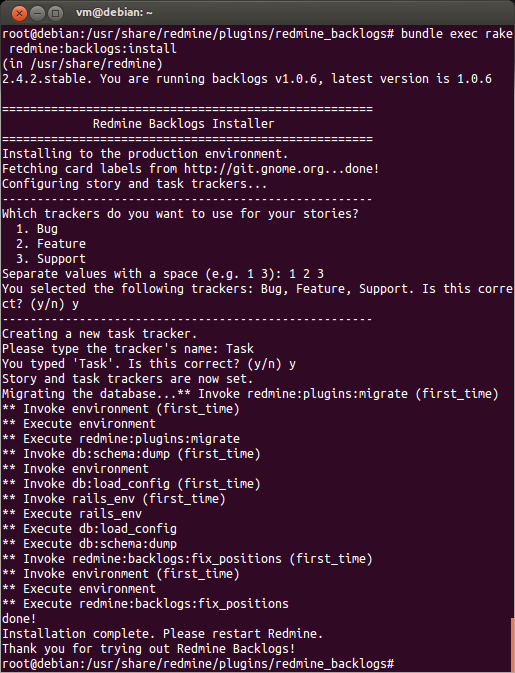 I was able to install redmine 2.4 from wheezy backports without trouble using this. Just a note: in the step to setup backlog plugin, some web parser seems to break a line of code stated here. Where it says “bundle install –without development test”, it should be “bundle install –without development test”. Note the dual minus. 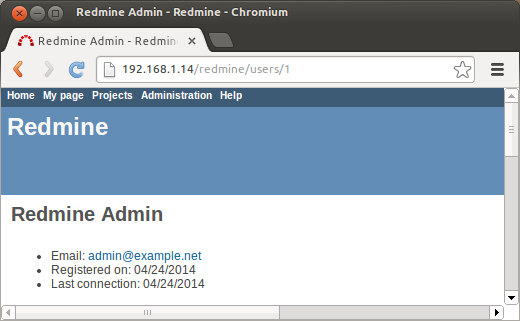 I just use your procedure to complete a basic install of redmine. I think there’s one little mistake and one thing that can be better explain. The procedure behind the link is wrong, in fact we have’nt to replace all the content by the one published there. So if you want, i think you can improve your really good tutorial. is in fact a web display trouble.